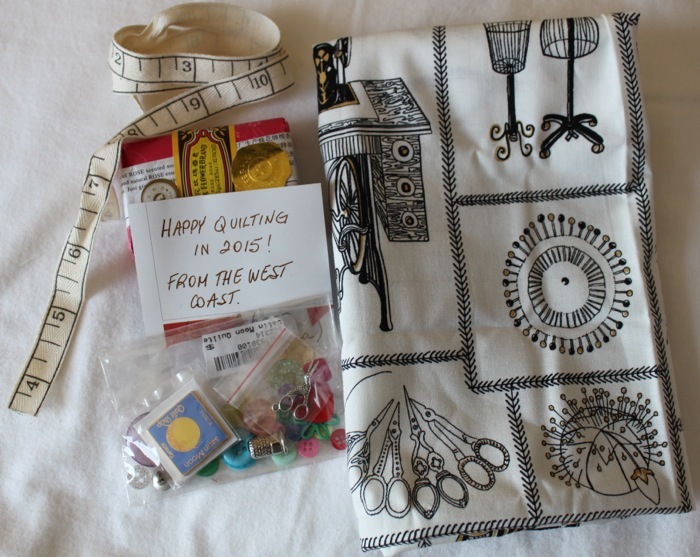 The Toronto Modern Quilt Guild participated in a pouch swap with the Victoria and Maritime Modern Quilt Guilds. 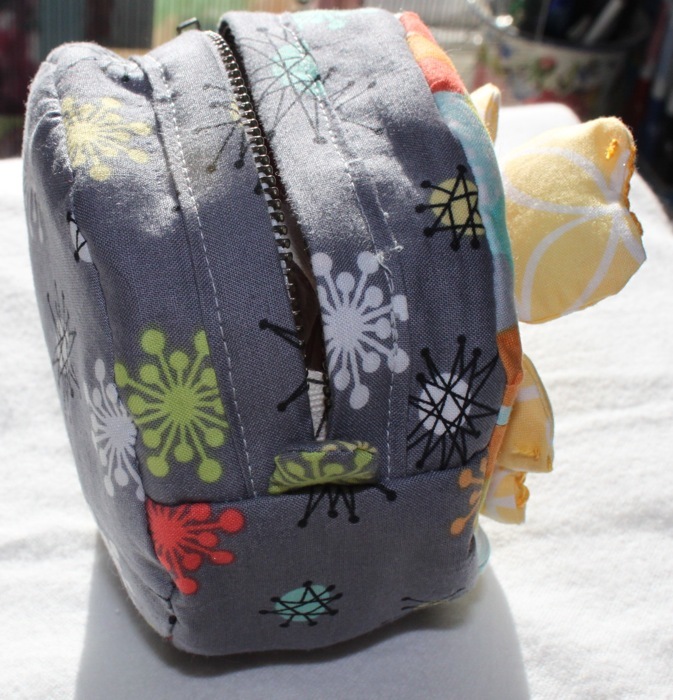 It was fun creating the pouches and luggage tags, you can see the ones I made in this post. At our guild meeting this weekend we received the pouches made by the members of the VMQG. Wow! They were all gorgeous – lots of time and effort went into making very individual bags. 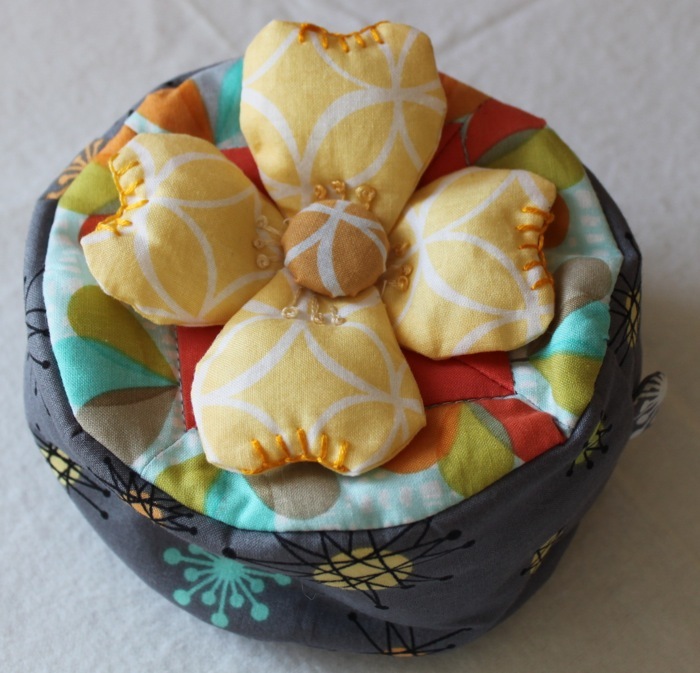 I chose a small round pouch with a beautiful flower on the front. Not only was the bag lovely, it was filled with loot! 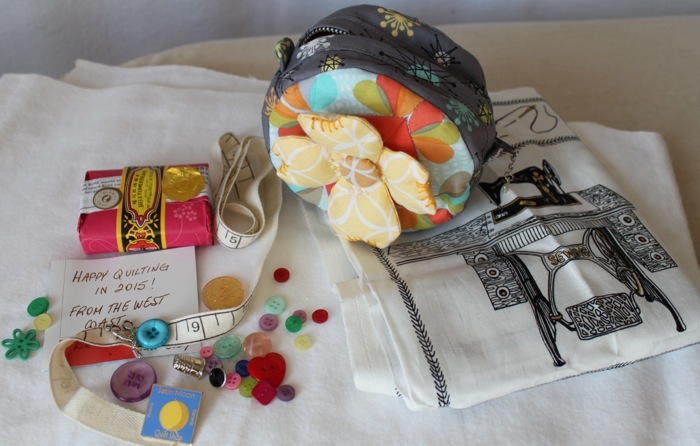 A panel printed with nostalgic sewing images tied with the tape measure ribbon, lovely smelling soap and a small bag of buttons and embellishments. 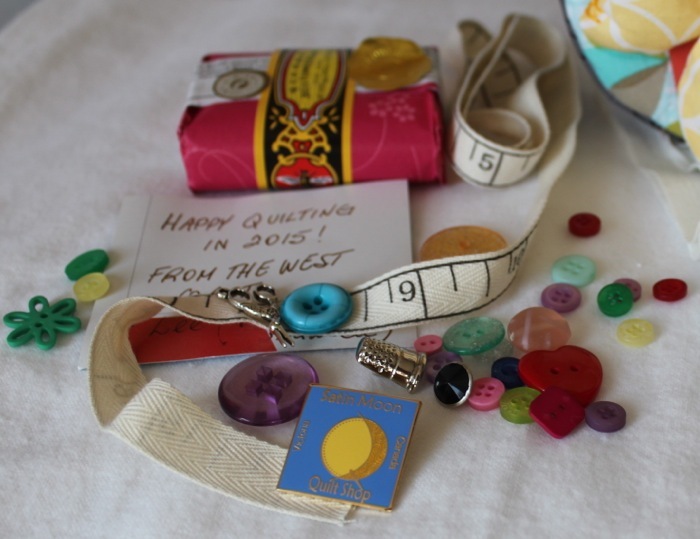 The blue and yellow pin is from the Satin Moon Quilt Shop which I think would be the local quilt shop of the very talented quilter that made this gift. I especially like the tiny scissors and thimble. This was the first exchange I participated in. I understand now, why they are so popular. It’s like Christmas and your birthday receiving a surprise gift. So much fun! 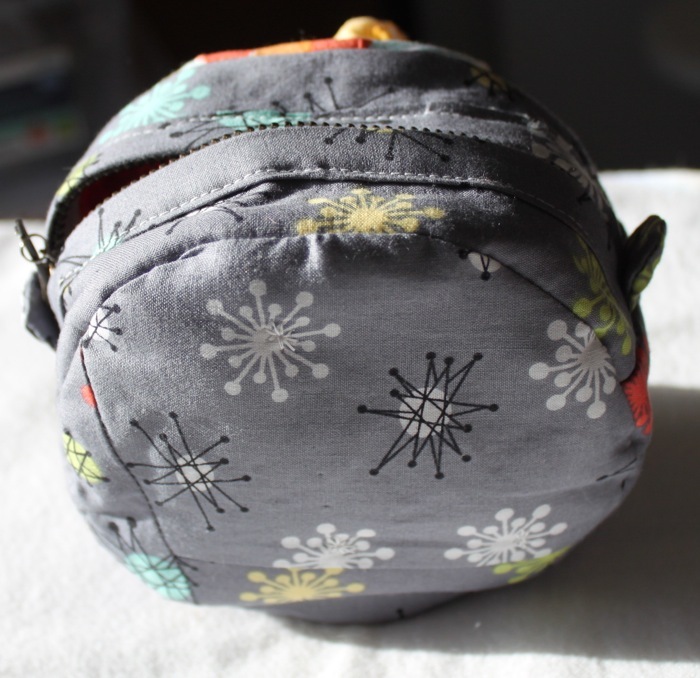 Have you participated in a swap?